Hoop Guard for Snap Hoop. Fits Monsters and Snap Hoops. MAP: 19.99 An extra hand to keep excess fabric out of the embroidery field. Hoop Guard easily snaps into position on any Snap Hoop, and lightweight, stainless steel construction 1.8 oz means it stays where you put it. Use one or more on each side of the hoop to safeguard your project. No more messy tape needed to tame hooped tshirts. Bags are a breeze with Hoop Guard to wrangle unwieldly fabric. 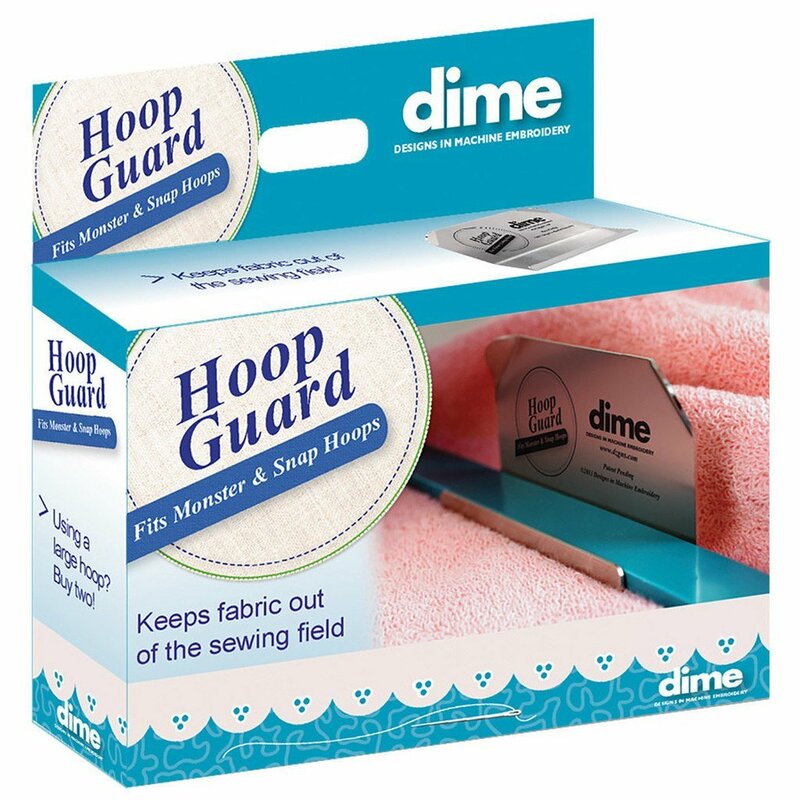 Pillow cases are painless with Hoop Guard. Easily stitch large towels, blankets, table runners, quilt sandwiches and even baby onesies.